1 Do Vitamins For Acne Really Work? Do Vitamins For Acne Really Work? Whenever I have a problem, I look at the cause, not just the symptoms. Lots of over the counter acne treatments try to solve the symptoms, but don’t actually treat the real cause – so acne keeps coming back as soon as you stop the treatment. One way to solve the actual problem is by looking at how healthy you are. Diet plays a big role, but so do taking the right minerals, nutrients and vitamins. In fact, the Mayo Clinic has stated that dietary factors can very well contribute to your acne. But can taking the right vitamins really treat acne, and which vitamins should you even take? That’s exactly what we’ll be looking at in this article! Vitamins are always best obtained from natural foods, such as fruit and vegetables, but supplements can also be effective. So you don’t even have to make huge dietary changes. I also want to stress, as with all the other treatments I suggest on this website, that combining different remedies is always best. So if you’re testing out some of the excellent home remedies for pimples, or using one of the recommended face washes or cleansers; adding vitamins and supplements for acne might just be the extra push needed for your outbreaks to clear. So don’t ignore supplements or changes to your diet because you’re already trying something new! Spots and pimples can be a result of the body not functioning optimally; and deficiencies in essential vitamins and minerals can certainly be a factor in the body’s ability to function at an optimal level. I believe vitamins can therefore be a great natural and holistic acne treatment. So let’s take a look at the best vitamins for acne – all of which have either been scientifically proven to help, or have specifically helped a large number of people. This page is a result of a large amount of research, but bear in mind that due to differences in skin type and different degrees of skin inflammation and so forth, what works for one person, may not work as well for the next person. It’s also advisable that you consult with a medical professional before taking any dietary supplements or make large changes in your diet. B vitamins play a paramount role in cell metabolism. As we’ll see they contribute greatly to the health of your skin, but there importance goes much further than just your skin. For example, it contributes greatly to your energy and metabolism (related to your weight). The main issue with all the B vitamins (and many of the other vitamins for acne we’ll be looking at) is that they are water-soluble, which means that your body cannot store them. For this reason, it’s necessary to have them in your daily diet or take supplements everyday. The Vitamin B Complex refers to 8 B vitamins; so let’s take a look at the most important ones contributing to the health of your skin. In terms of your skin, the Office of Dietary Supplements at the National Institute of Health states that “inflammation of the skin is one sign of B6 deficiency”. This is because vitamin B6 prevents the production of excess sebum. The RDA of vitamin B6 is 1.4mg / day for men and 1.2mg / day for women. Vitamin B5 (also known as pantothenic acid) is frequently used to resolve all kinds of skin conditions, despite there being a lack of scientific evidence to prove its effectiveness. Sebum is an oily matter, which essential to the skin, however a B5 deficiency inhibits fat metabolism, which can arguably lead to the surplus fat being pushed out to your skin (mainly your face) as sebum – leading to inflammation. The Internet is full of supposedly vitamin b5 acne cures, but the problem is that there just isn’t sufficient evidence to support all of these claims. So based on the research I’ve done pantothenic acid acne cures don’t seem like the miracle some people try to sell it as. That doesn’t mean pantothenic acid can be ignored however, as it still fulfills some vital functions such as facilitating energy release from food. According to the NHS taking no more than 200mg a day of pantothenic acid is unlikely to cause any harm – but they do say that you should be able to get all the vitamin b you need from your daily diet. While these do not directly support the skin, having the recommended amounts in your skin can certainly help. For example, you might have noticed that when you are stressed, more spots start showing up. It is said that B2 can reduce stress, which in turn can help with outbreaks. B3 supports circulation and helps metabolize fat, protein, and sugar. Again, all essential for the optimal functioning of your body and in turn your skin. Good sources for vitamin B2, which is also known as Riboflavin, are milk, rice and eggs. B3, also known as Niacin, can be found in meat and fish, but also in milk and eggs. As you’ll probably have noticed, eggs seem to be a great source. While it doesn’t look like any of the B vitamins are the miracle cure, they are important for a healthy skin. It seems like the best option is to make sure you have sufficient B vitamins in your diet. The best way to do this is follow the Recommended Dietary Allowance (RDA) for all the vitamins mentioned in this article. A high-quality B-complex supplement and / or a healthy varied diet will ensure this is the case. Vitamin A is the key ingredient in many skin creams, but is there such a thing as a vitamin A acne treatment? Well, vitamin A is often found in retinoids, which is a prescription topical acne treatment and helps cleanse pores. There are even reports that a vitamin A deficiency can actually lead to acne. Having said that, a vitamin A deficiency is not common in the developed world, but you could always ask your doctor to test your vitamin A levels to see whether a supplement is needed. Foods rich in vitamin A include eggs, cheese and yoghurt. In addition, beta-carotene is converted into vitamin A in the body. Good sources of beta-carotene are spinach, carrots and red peppers. 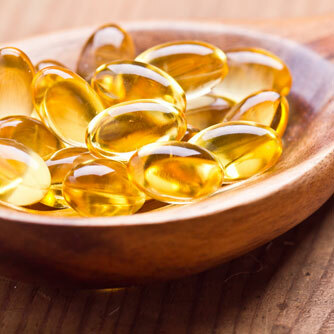 There are no scientific studies that conclusively offer any evidence vitamin D help get rid of acne. As with many of the other vitamins, vitamin D helps support the immune system, which might help the body fight off skin inflation. In addition, vitamin D might support the production of cathelicidin and defensins, which have antibacterial properties. Zinc is essential for several important functions within the body, and is a powerful antioxidant. Zinc has also been shown to help reduces inflammation. Zinc also helps make new cells, repairs damaged tissues and assists in healing of wounds. All of these factors can certainly help in overall skin health, and even fighting outbreaks. There’s even some support that using zinc both as a topical ointment or an oral supplement can help with inflammation and reduce the outbreak of spots by reducing the amount of sebum being excreted by the skin. On top of that, zinc’s healing powers can repair damaged skin, both reducing pimples and the chances of scarring. The RDA of zinc is 5.5-9.5mg a day for men and 4-7mg a day for women. According to the NHS, you should in effect be able to get all the zinc you need from your diet, and therefore zinc supplements aren’t necessary. 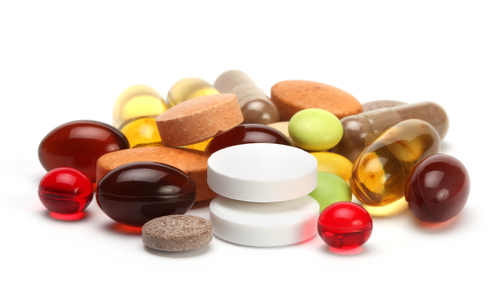 The Department of Health advises against taking more than 25mg of zinc supplements a day. Bear in mind that excessive doses of zinc can be dangerous so watch your intake. There are lots of different recommended maximum amount floating around on the Internet, so again, as with all the other supplements for acne in this article, consult a medical professional for advise should you wish to take any supplements. Overall, it seems that zinc for acne or any of the other supplements for acne are not the miracle solution after all. My own personal opinion (after lots of research) is that a healthy diet will help with general skin health; and can even reduce severe outbreaks and get rid of pimples – but don’t rely on it. Even if you increase your vitamin intake and see no immediate results, bear in mind that you’re increasing your general health – which is a worth the effort in any event. But like I said at the start of the article, improving your diet or taking some multi-vitamins should be in addition to trying out all the other methods mentioned on this website. Taking a holistic approach will always increase your chances of getting clear skin! © 2019 Everything About Acne. All rights reserved.